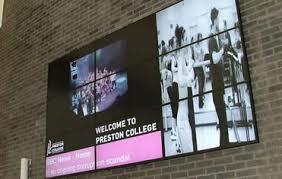 Digital signage for Education - Does it work? You're Here: Home / Blog / Digital Signage / Digital signage for Education – Does it work? 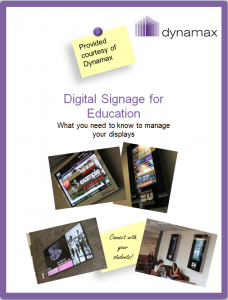 Digital signage for Education – Does it work? Digital signage has become a common part of our every day lives. In a place like a school, college or university, there is a constant need to communicate different information on a daily basis. It’s important for an educational environment to reach the target audience (students staff or visitors) with timely and relevant information. An efficient and cost-effective way to do this is by deploying a digital signage network. 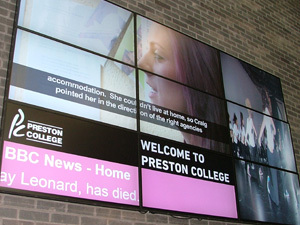 For some quirky ideas, one of our previous blog posts suggests six unusual ways of using digital signage in education. There are a number of elements of digital signage which need to be considered before creating a digital signage network. For example, the location of the screens is extremely important in order to communicate the right messages to the right people. Areas you may choose to place digital signage would include; staff rooms, reception areas, libraries and corridors. Messages that are aimed at staff wouldn’t be as effective in a library as they would be in the staff room, just as visitors wouldn’t notice messages in the canteen but will see them in the reception. The type/length of the information you are displaying also needs to be taken into consideration as this will differ with each location. In a place such as a corridor, long messages aren’t likely to be taken in as the dwell time is significantly less, whereas in a reception area or a canteen people have more time to read what’s on the screen. In areas where people are simply passing by, attractive images or short and snappy information will be much more effective. If you are considering digital signage for education, take a look at some of our case studies to get a better understanding of what we may be able to offer you. Or if you simply want more information on digital signage for the education sector, click on the picture below to download our white paper for FREE. This entry was posted in Digital Signage, Tips and advice and tagged corporate digital signage, digital signage for education, digital signage software by Dynamax. Bookmark the permalink.